These frames that look like Polaroids or like vintage slides (Like for a slide projector. Anybody remember those? lol.) are so trendy right now! They're great for scrapbooking or for photo cards like family Christmas cards, or birth or engagement announcements. But I love the idea of using them in an out-of-the-box way, like I did on this card to frame and give dimension to the focal image! Anyway, you can check out the video below, or over on my YouTube channel. 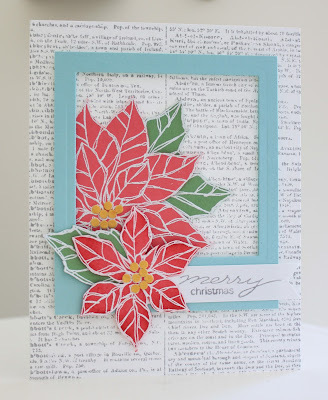 I used the Joyful Christmas (#131802 wood/#131805 clear) stamp set again for this card - I love that poinsettia image! - and another new set from the Annual Catalog, the Dictionary (#130348 wood/#130351 clear) background stamp. I'm so excited Stampin' Up! gave us this stamp since they retired the First Edition DSP that I was so obsessed with. I sure do love a good text print! :-D The colors are Smoky Slate, Pool Party, Strawberry Slush, and Wild Wasabi. Not traditional Christmas colors, but they're bright and fresh. So, thanks for stopping by today. 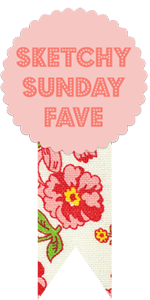 I hope you had a great weekend!